Helpful Practices – Before you Cast Your Own Spells. When a Witch starts on his/her journey, they will often begin by using someone else's spells or rituals, or premade Spells. While often these spells can work, they are not nearly as effective as if the Witch wrote it themselves. Creating your own spells reflects your own individuality; they are tailored to your own needs and use your own brand of energy. Writing your spells will allow you to have more freedom, choosing every which direction you want to follow. Along with this freedom, comes great responsibility, you must think of all the repercussions these spells could entail. Once you start creating your own Spells and Rituals, the next logical step will be casting it. The number of different Spellcasters out there range from a variety of different belief systems; Pagans, Druids, Witch Doctors, Voodoo Priests, etc... The list is vast. 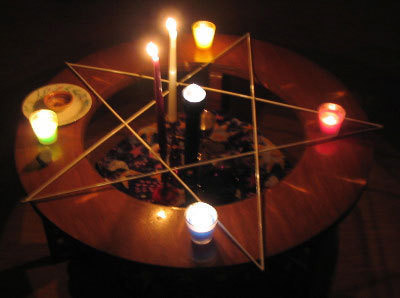 One example, in Wicca, we believe in the Wiccan rede. They're are a set of laws, or rules to follow when casting any spell, and some things to remember. The rule of three comes to mind, "Mind the Three-fold Laws you should three times bad and three times good." These are important factors to consider when you are planning to cast any spell. Be aware of the good and always be wary of the risks. Think of the "ethics" behind your practice, and any implications that may follow by these actions. Another important factor to consider is when to use Magick. It can be very easy to get caught up and start conducting rituals for every little thing; Magick is powerful but is not always the correct course of action. 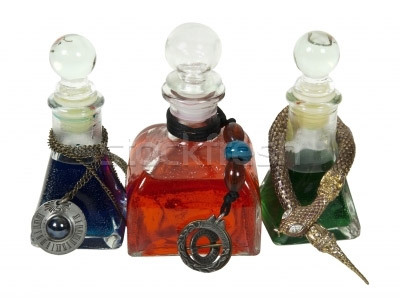 Spells work in diverse ways and can create different reactions than originally expected. Sometimes you can find you actually made the situation more complicated than taking some time to consider alternate avenues. Use your energy wisely. When you do begin casting spells be aware of what is to be expected. If you cast a money spell for example, you should not expect to wake up the next morning with a bag of loot tucked beside your bed. You must be able to follow some of the intentions of the spells through the next steps. Don't go on a spending spree, this would not be a conductive way to prosperity. It is also counter-intuitive to your ultimate goal. However, what would be recommended is to create situations that will take advantage of the spell you cast and allow it to come into fruition. Also do not expect that this spell would automatically work, even the most experienced Spellcasters have cast spells that do not perform. There could be any number of reasons for a spell to fail, but if you keep your intentions clear and your actions definitive, this will lead you on the path to success. Casting Spells should be a joyous experience. Some questions to consider before you start casting spells. Is there any way this situation can be fixed without the use of Magick?Have I done everything to resolve it? Will this spell harm another, or bend someone’s will to mine? 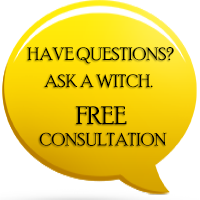 You always want to use Magick as a last resort, so when you are planning to cast a spell, ask yourself have I done all the mundane methods in order to attain this goal? For example, when you need a job, send out your resume. If you are looking to meet someone special, maybe try joining an interesting class to meet likeminded individuals. Before breaking out the aphrodisiacs and candles, first try some logical alternatives. One thing you want to be sure of before casting any spell is "your intentions are pure". This is important because you may want to cast a spell with great intentions but end up with unexpected consequences. Your spell will have the best chance for success if you fully own it, and the actions that come with it. Making Magick is a powerful and transformative experience; you become the subject and the result. Know what you are asking for, and be prepared to accept the outcome. With this Samhain coming upon us, I know there are going to be some fabulous rituals and spell being conjured. Be safe and remember the joy. Hope you have a successful ritual on this Samhain, and I look forward to hearing all the comments before and after all your spells. Blessed Be & Blessed Samhain. Thank you for posting this article on your FB today. I needed a neutral way to express these very same thoughts to a curious novice. Also, the artwork that was included with your post, is there a way to purchase it? I would love to have it on my wall. :)Again, thank you so much and Blessed Samhain... -- Brianna. Thanks for reminding me/us of this...the basics!! And also, do/would you consider breaking a connection and/or connections a spell/spell work?